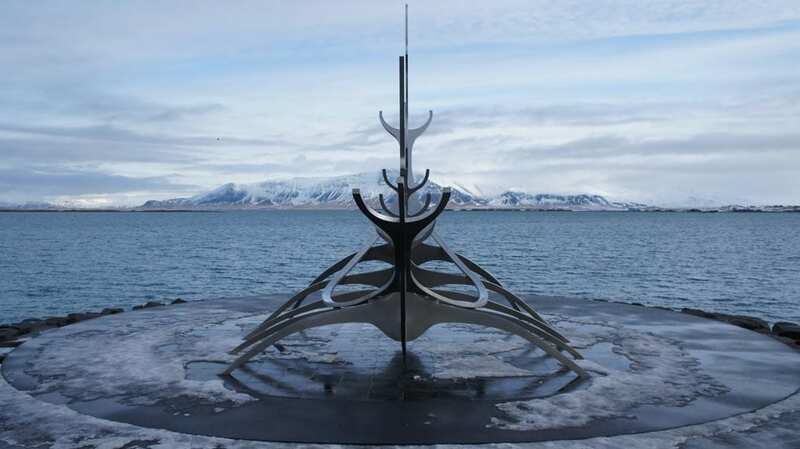 Reykjavik is home to Sólfarið Sun Voyager, the most famous sculpture in Iceland. 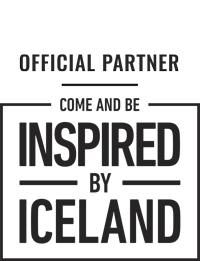 If you want to be consumed in art and culture then this is one for the bucket list. 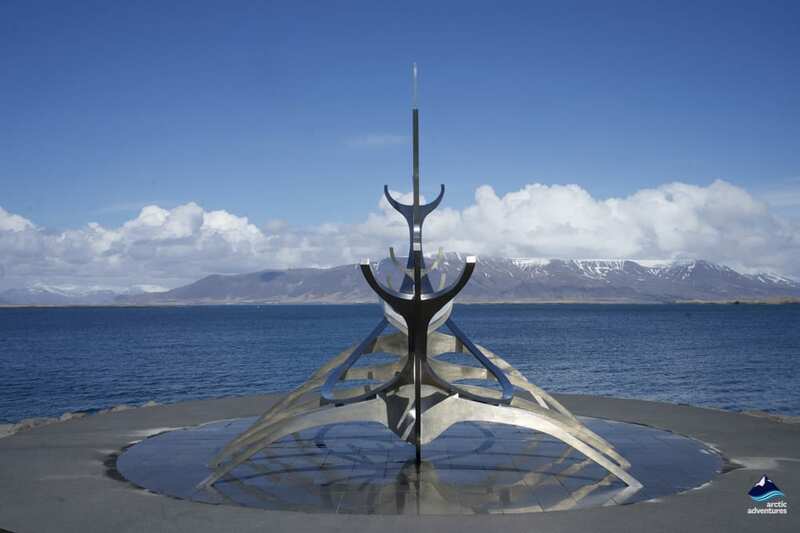 Where is Sólfarið Sun Voyager located? 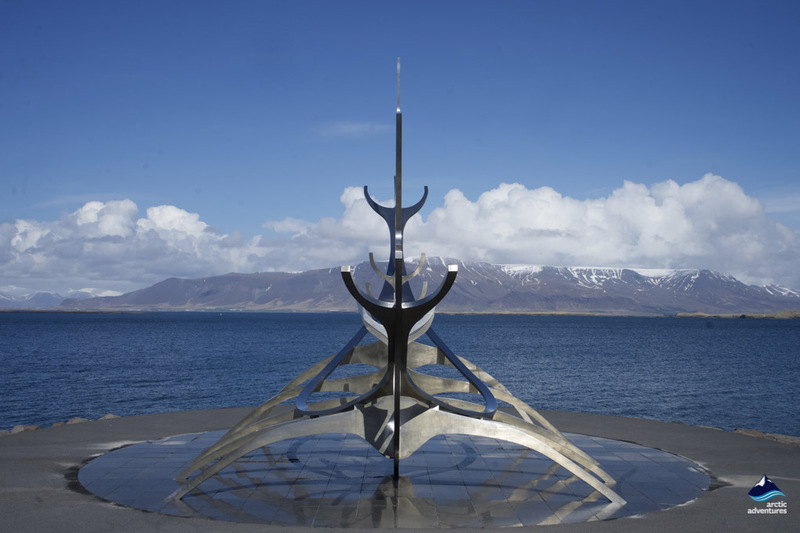 If you have a passion for photography, an interest in art or simply want to see the sites of Reykjavik the Sun Voyager is something you don’t want to miss. 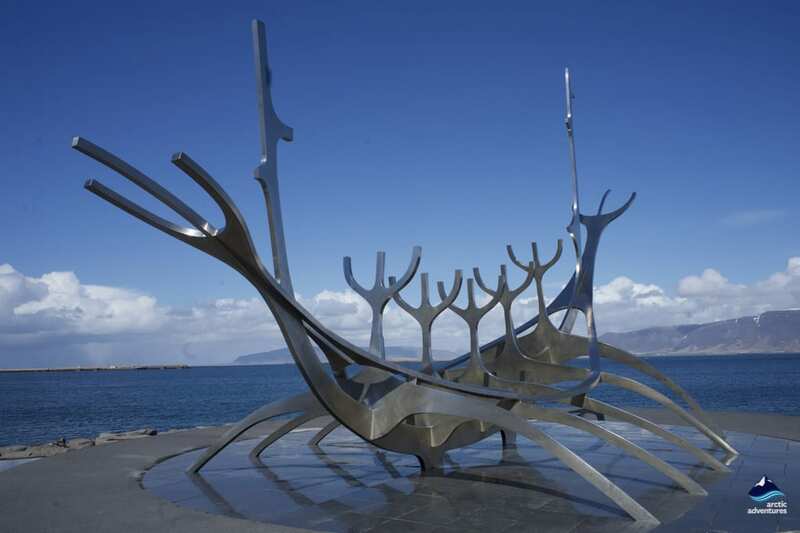 It is a common misconception that the outdoor sculpture resembles a viking ship. However, this was not the intention of artist Jón Gunnar Árnason. 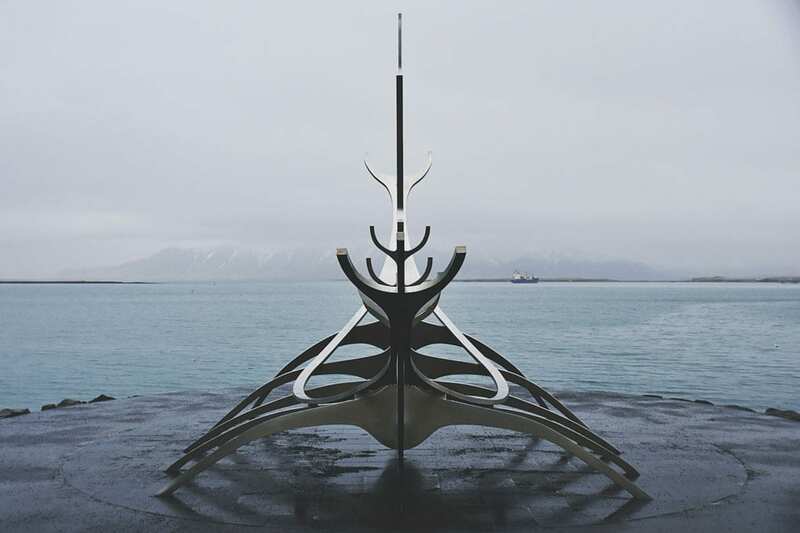 The steel sculpture is actually a dream boat that holds the promise of undiscovered territory, an ode to the sun, emitting a dream of hope, progress and freedom. 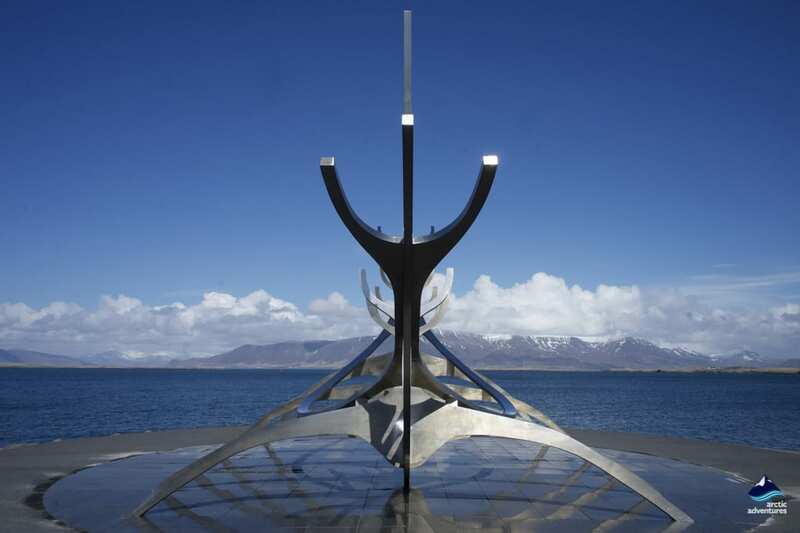 It portrays a symbolism of light and has become a part of Reykjavik. It is known to be said that Jón Gunnar Árnason visited an island called Bockholm situated in Finland. When he was there he was said to have an eerie feeling that he had been there before in another lifetime. There is an ancient story of exploration that saw travelers leave from the centre of the world and head in four different directions. A set of explorers followed the setting sun and ended up on a small island in the cold Atlantic Ocean. Maybe this is why Jón had a sense of Déjà vu. When Jón was in Bockholm he looked towards the setting sun and saw a vision of a dreamboat that carried him home. Using granite rock he carved his idea and this was the blueprint to the sculpture that is known and loved today. 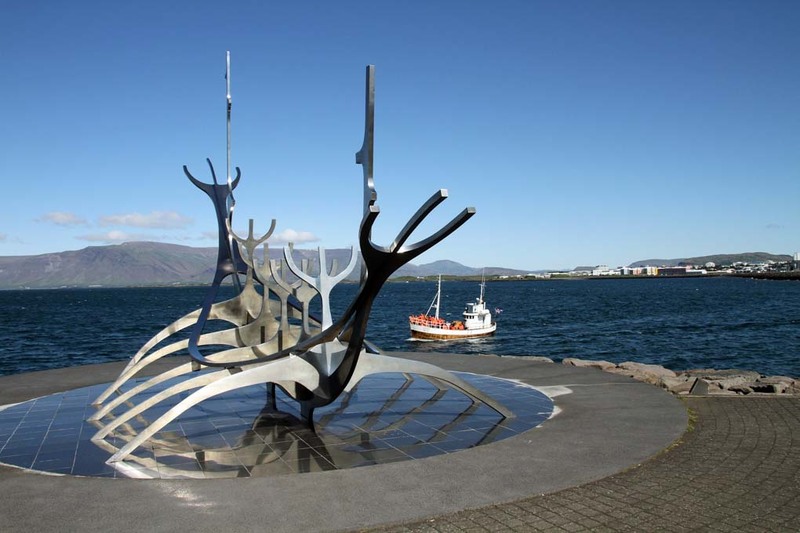 On the picturesque seafront of Reykjavik the sculpture is just a few minutes from the center of the city. It is also in very close proximity of the Harpa Concert Hall. Furthermore, in order continually be consumed in the art of Iceland, the sculpture is along Sæbraut, a well-known sculpture walking path. 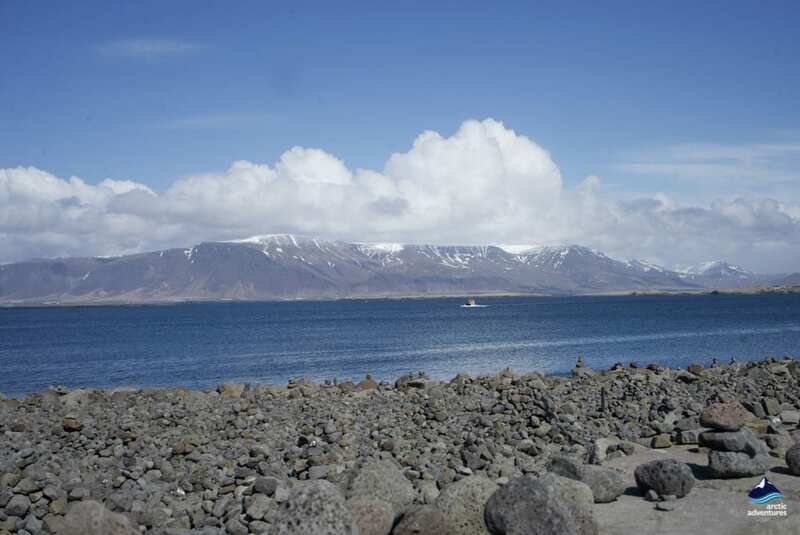 Of course, you will not be short of stunning views as nowhere in Iceland lacks this. 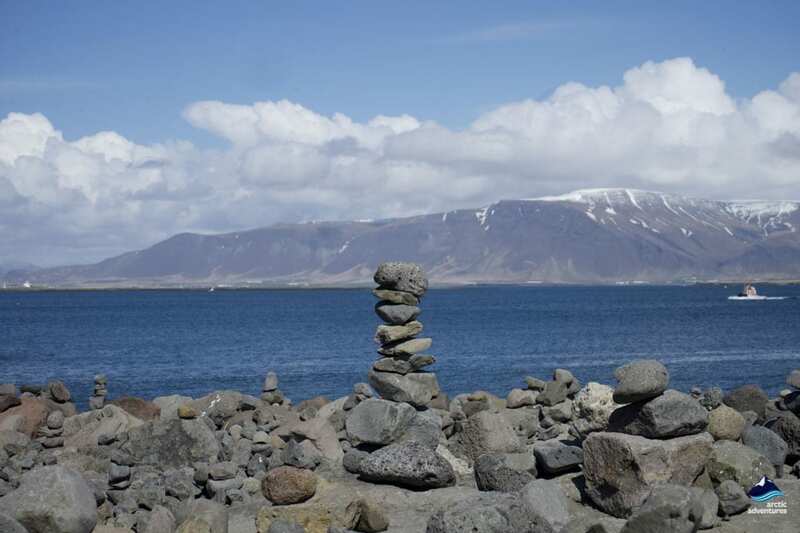 Standing in front of the magnificent Mount Esja this is the perfect photo opportunity. No matter what the season, this work of art is set to capture amazing photos. Taking full advantage of the midnight sun in the summer will allow you to seize the landscape in ways that would not be possible in the dark. Although, trying to capture the northern lights dancing in the sky is a great way to take advantage of long exposure photography to create a magical masterpiece. Winter in Iceland is wonderful and the best thing about this landmark is that it is available to see all year. An advantage of visiting in the winter months is that you might be lucky enough to see the northern lights at the same time. If the weather is clear enough then you’ll be in for a treat. 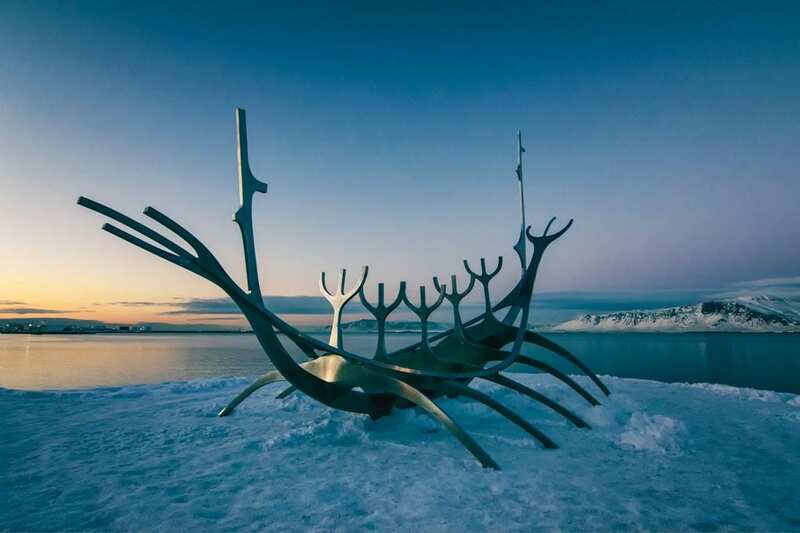 If you’re an early bird then watching the sun rise behind the mountains and the sculpture is beautiful and what a better way to start your day. It is free to visit, which is always an added bonus. There is parking situated adjacent to the sculpture. 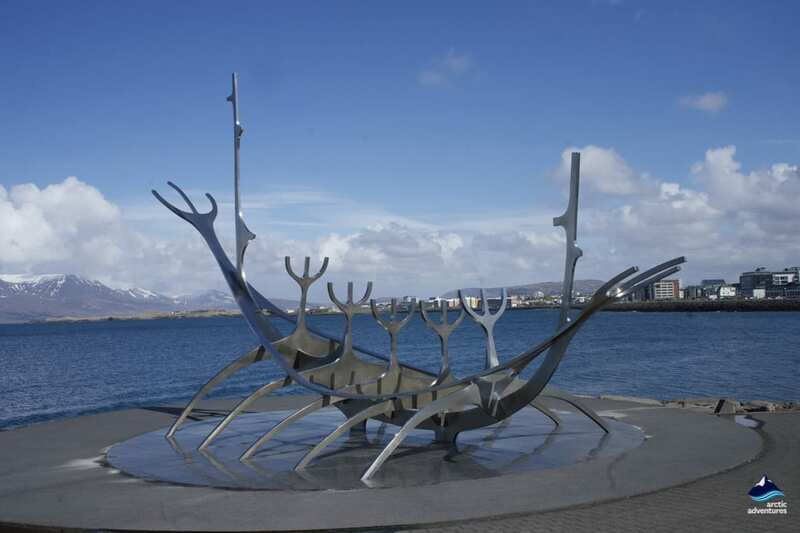 Being located in Reykjavik means there are many places to stay when visiting the sculpture, no matter what your budget. 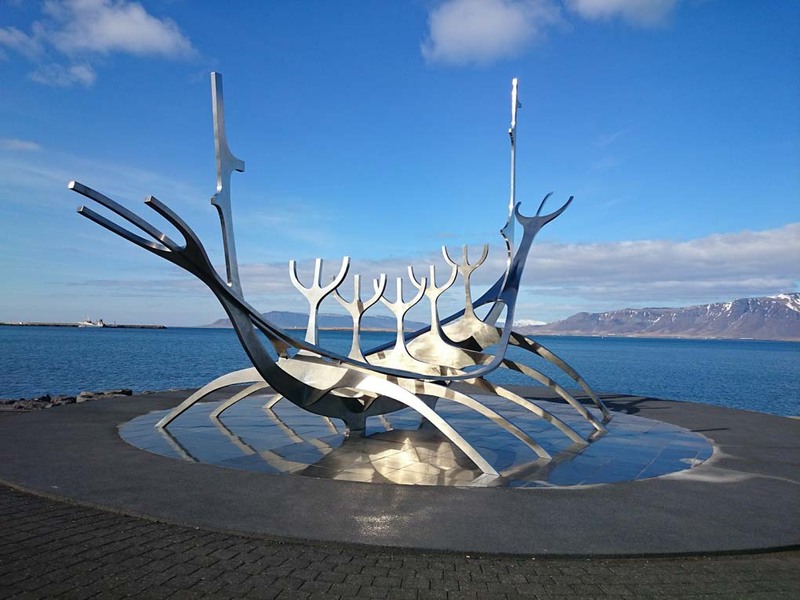 Spending the day perusing around Reykjavik is the best way to see the sculpture and fit in many other impressing things the town has to offer. 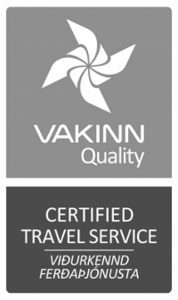 Going to see the Hallgrímskirkja is another great thing to do in the city and well as visiting the Harpa. These unique buildings are a must see! Additionally, if art is one of your strong interests then why not browse the Reykjavik Art Museum. 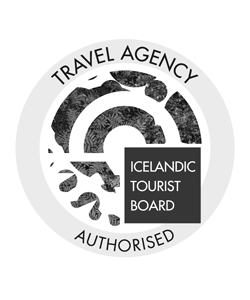 Museums such as the National Museum of Iceland offer an insight to the town’s history or if you’re wanting to get to know Icelandic wildlife a little better the Icelandic Phallological Museum is never a dull day out. If you’re wanting to treat yourself, maybe on you’re last night in the city then why not head to Perlan. An exciting and futuristic glass spinning dome which occupies a fine dining restaurant with a cocktail bar. 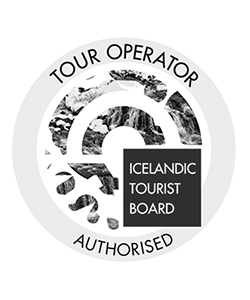 The 360 panoramic views are second to none and you can even take time to visit the museum as your last glimpses of Iceland. Bíó Paradís – if you are a film fanatic then this is worth a visit. Naustin – want to get away from the tourist nightlife then this is your best bet. Kópavogur church – for a mix of scenery and architecture then visiting this church for free should be planned into your day. Cupcake cafe – this little cafe is sure to satisfy your sweet tooth.